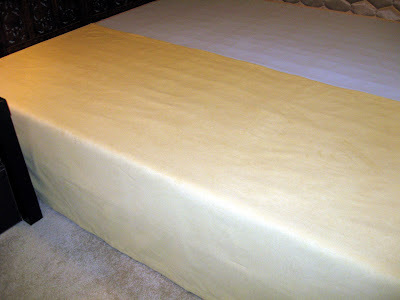 Yesterday, I came across this great post on apartmenttherapy.com on how to make a simple bedskirt, as described by Benita, a visual merchandiser in Sweden who blogs at Chez Larson. 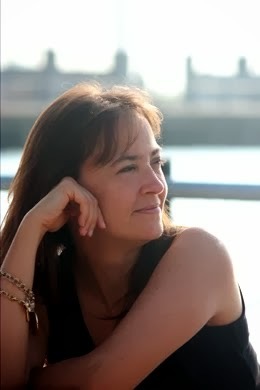 She used hemmed strips of fabric, which she safety pinned to the mattress. 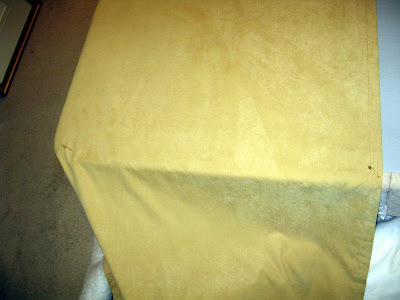 I was so inspired, I went home and did one even better for the sewing inept - no hemming required. hey this looks great and i can't wait to try it! also, where did you score those fab headboard panels? Believe it or not, we found it on the street. It was missing one of the small top panels, so we just removed the other three. What a great idea! Did you use one piece of material (one scarf) and what size bed did you cover? One scarf, six yards long. It exactly fit a queen size bed. Thanks so much for sharing this! It is exactly what I was looking for - a nice but cheap bed skirt. I am off to TJMax to find a discount window scarf. I am still wondering on how to fold the corners...any tips?? LOVE this idea!! 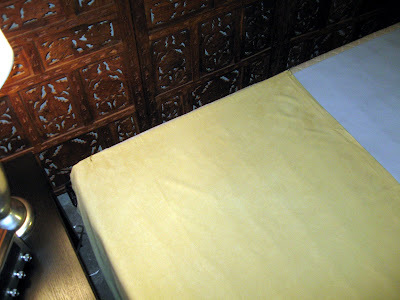 You might have a look at this post from Chez Larsson for some additional photos of the corners. Basically, the skirt hangs straight down the whole way around the bed. The only folding is on the mattress. 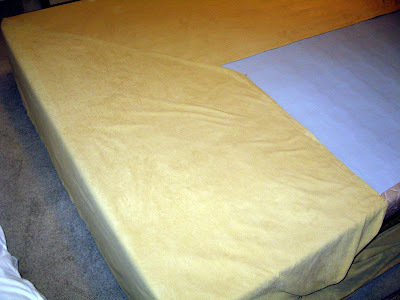 It pretty much folds itself naturally as you keep the bottom edge of the bedskirt even with the floor. This awesome, but I still unsure about folding the corners and I'm unable to access the link above to view more pictures. 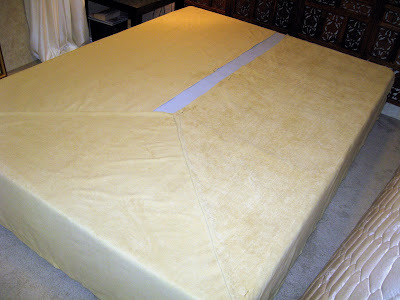 what I can`t understand is ...are you pinning the material from the mattress or from the mattress box? 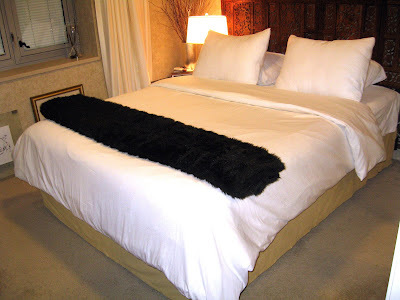 So you were able to do this for a queen size bed with just ONE drapery scarf? I can't wait to find the right scarf for my son's bed! Yes. 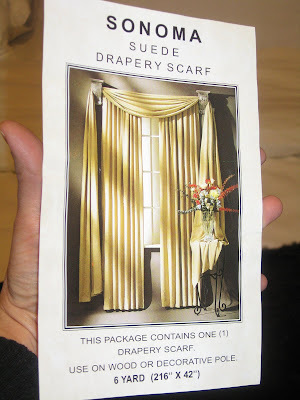 It was a six-yard drapery scarf. It measured 216" by 42"